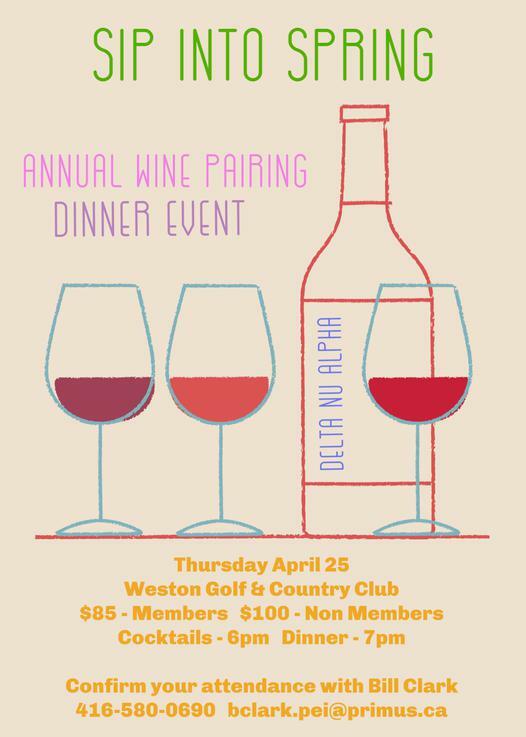 The Weston Golf & Country Club will be serving a delicious 4-course meal paired with local wine. We welcome Product Consultant and Master Sommelier Andrew Skaab as our host from the LCBO. Sponsorships are also available for the evening. Cancellation of less than 48 hours notice is subject to payment in full.